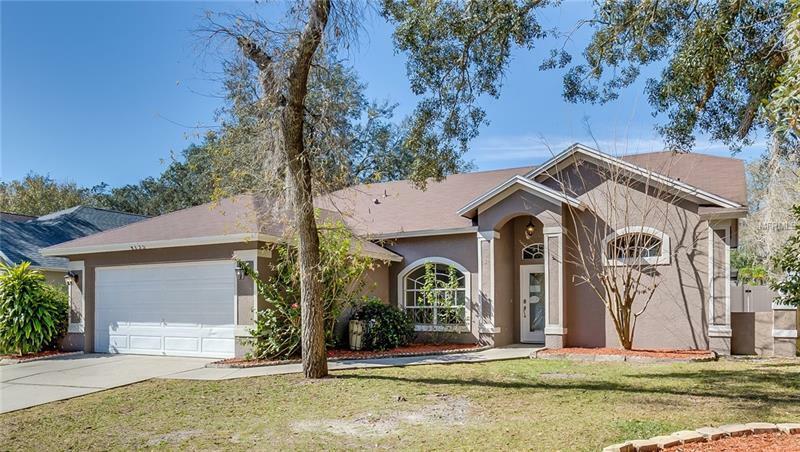 Beautiful 3 bedroom, 2 bath pool home on a quiet street in Bloomingdale school district. No CDD and voluntary HOA. High vaulted ceilings throughout with tile in all the main areas. The kitchen has been updated with real wood cabinets, pullouts and quartz countertops. Home has been freshly painted and has new carpet in the bedrooms. Fully paved and covered patio overlooks easy to care for "splash sized" pool with screen enclosure. Bloomingdale has much to offer like Top Rated Schools, Parks, YMCA, Shopping, Restaurants, and is only minutes away from Downtown Tampa and the Air Force Base. This home is move-in ready and can be seen without an appointment! Come take a look today!